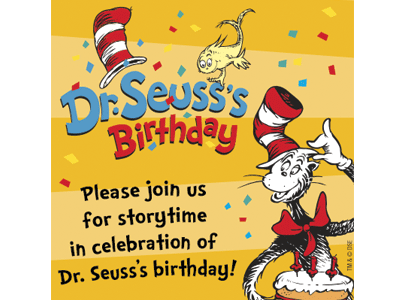 Join Books Inc. in Campbell in celebration of Dr. Seuss's Birthday! Featuring storytime read-alouds, themed activities, a craft table, and snacks! All ages welcome.